LOGANSPORT, INDIANA, UNITED STATES, August 15, 2018 /EINPresswire.com/ — There’s a popular saying that not all heroes wear capes and it couldn’t be truer than for Pamela Jo Roller. Pamela’s life has been a series of courageous moves—from making a difference for struggling students, to overcoming her vision problems, to volunteer efforts, to taking care of a mother who faced all types of adversity herself. Pamela not only triumphed in each of these, she earned awards for her accomplishments, and wrote a book about Clara Evelyn Sizemore’s life, to honor her mom and be an inspiration for other women. Pamela’s mother, who goes by Evelyn, was diagnosed with Non-Hodgkin’s Lymphoma in February of 2008. 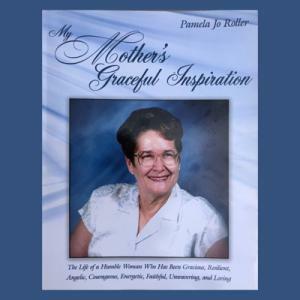 Pamela stood by her mom as she faced the physical and emotional ordeals of cancer treatment and began writing while mom was getting her hours of Chemo. 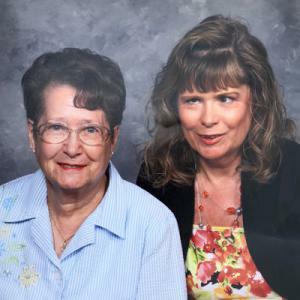 It was not only a way to pay tribute to a mother whose time might be running out, it was therapeutic for Pamela; writing gave her focus and kept her calm during the endless hours of waiting. Evelyn’s story, entitled My Mother’s Graceful Inspiration is no best seller, but it accomplished Pamela’s goal of paying tribute to a mother who faced adversity– at every age and in every form– and still held her head high. She never raged at God either. Instead, Evelyn kept moving ahead, and is still around today at age 84. Evelyn became pregnant at aged 16 and again at 17, both children born dead. Pamela was the first of her 5 kids to survive. Evelyn raised them as a single mom, working at a factory (back when maternity leave didn’t exist), all the while pursuing her GED and then cake decorator certification. Evelyn’s graces included making stunning special occasion cakes, and catering weddings and anniversaries. She made lovely quilts for her children, grandchildren, and great-grandchildren, and Evelyn frequently donated quilts to Riley Children’s Hospital. Evelyn also raised bright and successful children, especially Pamela, who became a teacher and earned several honors throughout her career. Pamela recently retired after more than 40 years in teaching. She loved finding a way to engage her students, especially when it came to science, and had a mock space shuttle simulator in her classroom. It not only helped reach her elementary school students, Pamela made it available to other classes, grades, and schools. Pamela was a Disney Honoree for American Teacher Awards in 2002-03. In 2005, she was asked to contribute to the series of Best Practices educational books by Randy Stone. 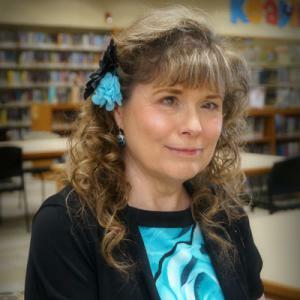 Pamela’s articles appeared in Best Classroom Practices for Reaching all Learners, as well as the Reading, Math, Writing and Science volumes in that series. Pamela is sweet and humble about such honors, including when she received the Pharos Tribune Good Neighbor Award. She knows she did volunteer work for the Red Cross, delivering flowers and wheeling out released patients, and that community members also admired a mentoring program she had launched, matching at-risk-children with adult role models. Sometimes the difference between a poor student and a student who excels is just having someone in their corner, to listen and build up their confidence, says Pamela. Pamela is never sure who nominates her for these distinctions and thinks maybe it is all just a divine hand at work. She is, after all, a devout Christian. Pamela mentions God as a major influence in her life and the source of strength that helped her just keep putting one foot in front of the other during her most difficult days. CUTV News Radio will feature Pamela Jo Roller in interviews on August 17 at 2:00pm EDT with Doug Llewelyn, and on August 24th at 2:00pm EDT with Jim Masters.